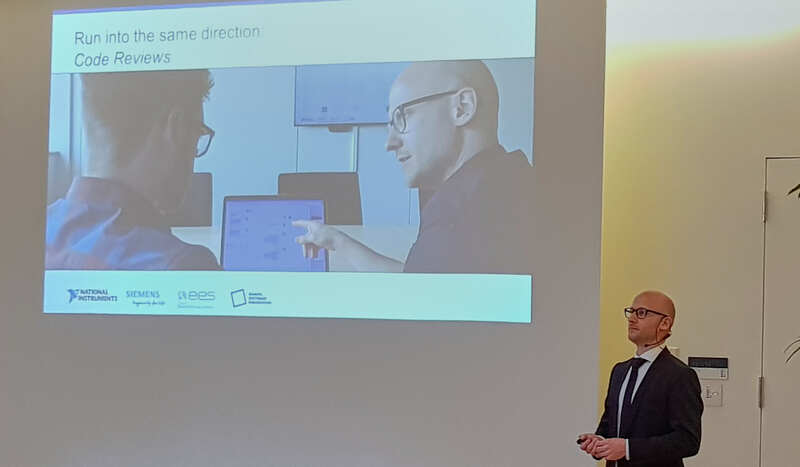 At this year’s Dev Days in Nürnberg, Germany, NI’s Lorenz Casper and Alexander Glasner did a very fine job leading through the whole day, hosting the event and giving various presentations. I had the opportunity to meet some LabVIEW friends, have chats with my NI support staff, and introduce my new colleague Manuel into the local LabVIEW community. High voltage, direct current (HVDC) is key for long-distance electric power transmission. 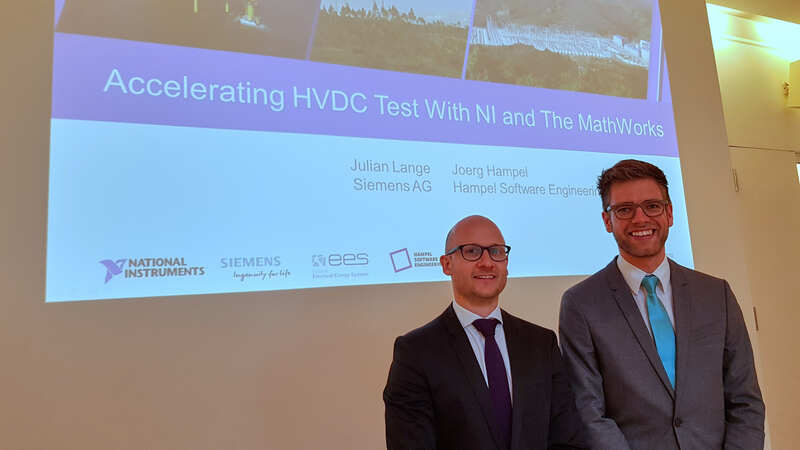 Learn how engineers used the NI platform to implement a proof of concept for a revolutionary HVDC test circuit at record speed. Discover how to integrate a high-speed The MathWorks, Inc. MATLAB® and Simulink® model into LabVIEW Real-Time and LabVIEW FPGA. My part was all about LabVIEW “best practices” for small and/or inexperienced teams. I will write a blog post on that specific topic and update this post with a link to it, so stay tuned. If you want to know more, take a look at our presentation slides. You can download them from NI’s forum pages (http://bit.ly/NIWeek-2017-DigNRG) or from the NI Week’s Session Catalog (http://bit.ly/NIWeek2017-HVDC). I gotta say that I’m starting to get hooked on those presentations. This is something that I really enjoy, from the adrenaline of the first 10 seconds each time to the interaction with the audience that develops throughout or afterwards. I want to thank NI for having me every now and then, and I’m looking forward to the next events!